The second movie this year from Pixar (after Cars 3), Coco sees the creators of the Toy Story series make what is arguably their first fantasy movie, as twelve year old Miguel (Anthony Gonzalez) finds himself embroiled in a long-standing family mystery surrounding a ban on music. Miguel’s quest to solve this mystery, and how it connects to his musical idol Ernesto de la Cruz (Benjamin Bratt), leads Miguel into the fabled Land of the Dead. The trailer makes it clear that music is integral to the story in Coco, and the TV footage of de la Cruz is reminiscent of the newsreel footage from Up (2009), but once again it’s the quality of the animation that captures the attention: the end reveal is breathtaking. Pixar appear to have weathered the initial controversy surrounding their decision to try and trademark the term “Día de los Muertos”, and in doing so, have created a Pixar movie first: Miguel is their first central character of ethnic origin. In a way this could be a movie to savour, as it’s the last original story idea we’ll see from Pixar until March 2020. But if the story is locked in, then this could be the kind of uplifting, emotionally resonant tale that Pixar does so well when it’s not concentrating too much on banging out lacklustre sequels to existing favourites. Edgar Wright may be the only director to turn down a gig at Marvel (he walked away from Ant-Man (2015) citing creative differences), but the downside of that decision for movie fans was his distinctive directing style being absent from our screens for four loooong years. 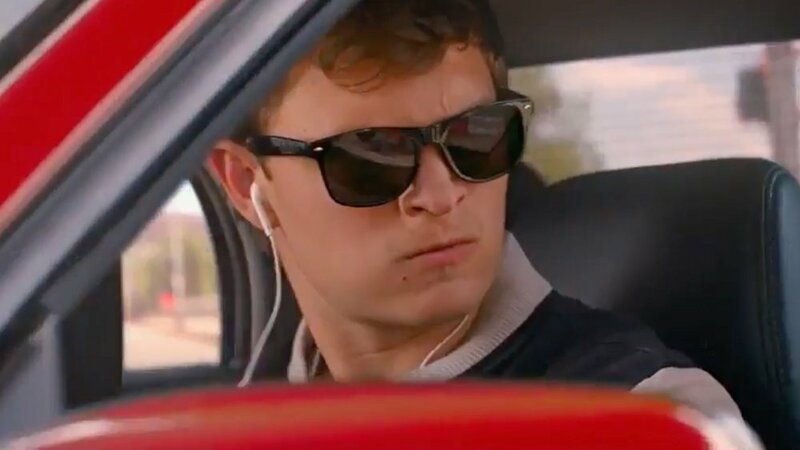 But now he’s back, and with baby-faced Ansel Elgort as, well, the Baby Driver of the title. An action/crime/thriller about a getaway driver (yes, Elgort) looking to “retire” after meeting the girl of his dreams (Lily Collins), but reeled in for one last job by über-crime lord Kevin Spacey, the movie is replete with Wright’s trademark visual stylings (no static angles allowed here), and offbeat sense of humour (the Halloween argument). 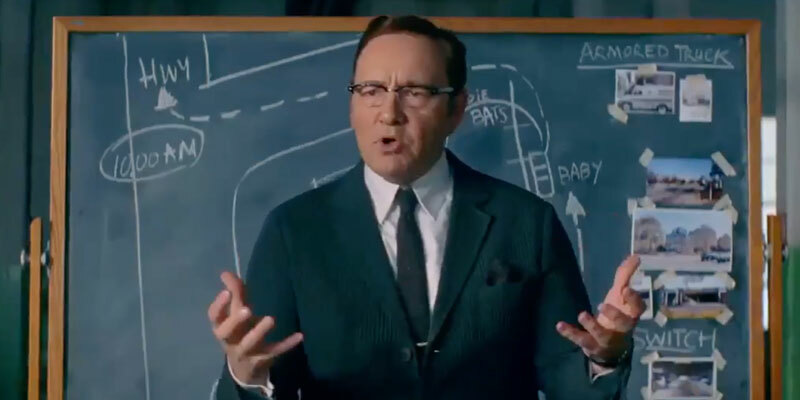 Anyone familiar with the video for Mint Royale’s Blue Song will already know how Baby Driver begins, but those who don’t will be in for a treat nevertheless. 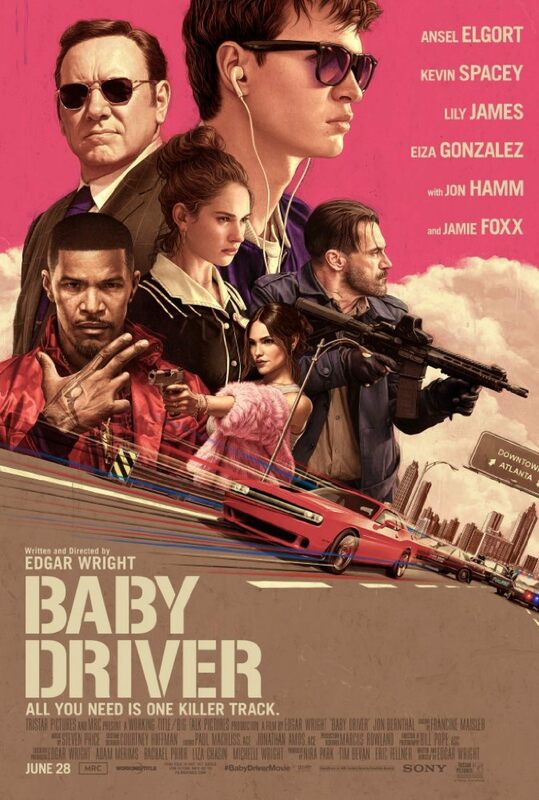 The trailer features some very impressive stunt driving, a great supporting cast that includes the likes of Jamie Foxx and Jon Hamm, and appropriately for a movie where the title character drives to the sounds of his own personal soundtrack, some really great tunes. Aardman Studios are gloriously unique. They’re the only animation company who work with stop-motion clay animation techniques, and they regularly make crowd-pleasing movies that thrive on their own unique form of invention and wit. And if the teaser trailer for Early Man is anything to go by, then they’re onto another winner here as well. Even though we won’t see the finished product until January 2018, there’s already enough here to vouchsafe its tale of Dug (voiced by Eddie Redmayne) and his efforts to unite his tribe against rivals from the Bronze Age (yes, time travel is involved) in a confrontation that pre-dates European football by thousands and thousands of years. Dug is a classic Aardman creation, and will no doubt prove popular, but if one character is likely to stand out from all the rest, it has to be Dug’s trusty sidekick, Hognob the (early) pig. With this being Nick Park’s first solo venture as a director, and like Pixar’s Coco, Aardman’s last original story idea for some time to come, this is definitely one to look forward to (and hopefully treasure). And so Jeanine is dead, killed by Four’s mother, Evelyn (Watts). Everything’s okay and peace has been restored. Except that Evelyn is making sure it comes at a further price: everyone who was on Erudite’s side has to be put on trial and their “crimes” answered for. 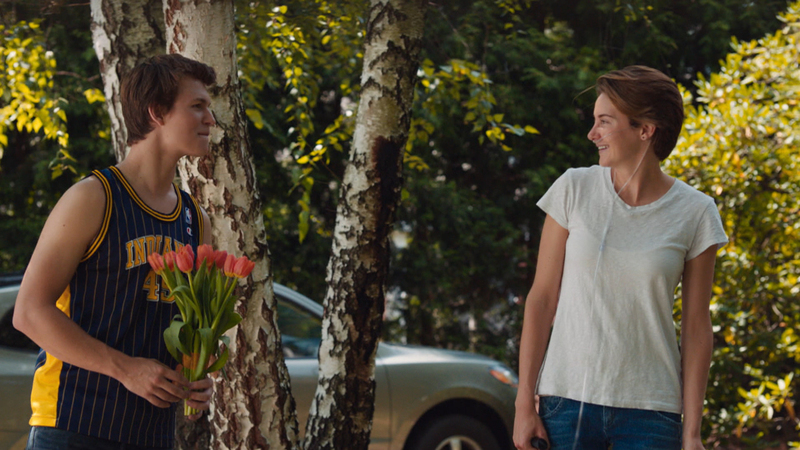 This means executions on a wide scale, and although Tris (Woodley) has disowned her brother, Caleb (Elgort), he faces the same fate. With the message from outside Chicago still indicating that there are more answers to be found outside the city than in, Tris and Four (James) opt to breach the wall and go in search of those answers. Four decides to help Caleb escape, and the trio are joined by Christina (Kravitz), Tori (Maggie Q), and Peter (Teller). Despite an attempt to stop them by Evelyn’s lieutenant, Edgar (Weston), they climb over the wall and down to the other side. There they find a toxic wasteland, where the earth is a scorch blasted red. Having been followed by Edgar, the group are relieved when they reach a force field that opens to reveal an armed force. This group protects Tris and her friends from Edgar, and with his threat neutralised, they take Tris and company to their base far out in the wasteland, the so-called Bureau of Genetic Welfare, where Tris in particular is welcomed by the Bureau’s director, David (Daniels). With Tris being the fruit of an experiment to right a wrong perpetrated long ago, David is keen to run tests on her, while keeping Four and the others occupied and away from her as much as possible. But Four is quick to suspect that David isn’t as honest as he makes out, but Tris doesn’t see it. Meanwhile, back in Chicago, Johanna (Spencer) has formed a group she calls Allegiant, and who are at odds with Evelyn’s way of running things. Another war of attrition is about to take place between the two factions, and though Tris wants David to intervene – after all, he has been monitoring Chicago for a long time because of the experiment – but instead of doing so, he sends Peter back with a nerve gas that will render everyone who comes into contact with it, unable to remember anything that happened to them before they were exposed. And while David takes Tris to meet the Council who ultimately decide everyone’s fate, Four discovers what the gas has been used for in the wasteland. And when Tris finally becomes aware of David’s duplicity, she and Four, along with Christina and Caleb, return to Chicago to stop Evelyn from using the gas on Allegiant. Three movies in and the Divergent series is showing serious signs that it’s running out of ideas. Allegiant is superficially entertaining, but in comparison with parts one and two, it lacks anything fresh to entertain either fans or newcomers. It’s also the first time that the series gives up on Tris as an independent, strong-minded female, and instead hands over leadership duties to Four – which wouldn’t be such a bad idea if he wasn’t written as a bit of a pompous told-you-so kind of character. (Throughout the series, Four has been the gloomiest character of them all, unable to smile or express his feelings about anything without a frown.) And with Tris relegated to a secondary role, there’s only Daniels left to pick up the slack, as everyone else (James excepted) is afforded only enough screen time to either provide any relevant exposition, or keep the plot ticking over (Spencer and Watts are wasted, while Judd is brought back yet again to add some more of her character’s turgid back story). The problem with the movie is twofold: one, it’s the first half of the third book in the series, and as such, doesn’t have a credible ending, just another narrowly avoided cliffhanger that leaves things open for part four (or should that be part three-point-five? ); and two, the action seems more than usually contrived once Tris et al leave Chicago. The wasteland is less than threatening, and the Bureau is predictably shiny on the surface (and in David’s “office”), while the barracks Four and Christina are assigned to are remarkably similar to those inhabited by Dauntless in the first movie. It’s all brightly lit and commendably shot by esteemed DoP Florian Ballhaus (returning from Insurgent (2015) and already hired for the next instalment), but it’s becoming hard to care what happens to anyone. At its heart, the Divergent series is about DNA profiling and the perils that can follow on from it. It’s a concept that’s been there in the first two movies, but which hasn’t been addressed directly. But now that it has, and through the medium of video no less, the truth behind the use of Chicago as a test ground, and the true meaning of being Divergent, all sounds quite dull and unexciting. The movie fails to make Tris’s nature important to its own story, and instead opts for being yet another race-against-time thriller, abandoning the ethical and moral debate it wants to engage in and relying on tried and trusted action movie clichés to wind up its narrative. 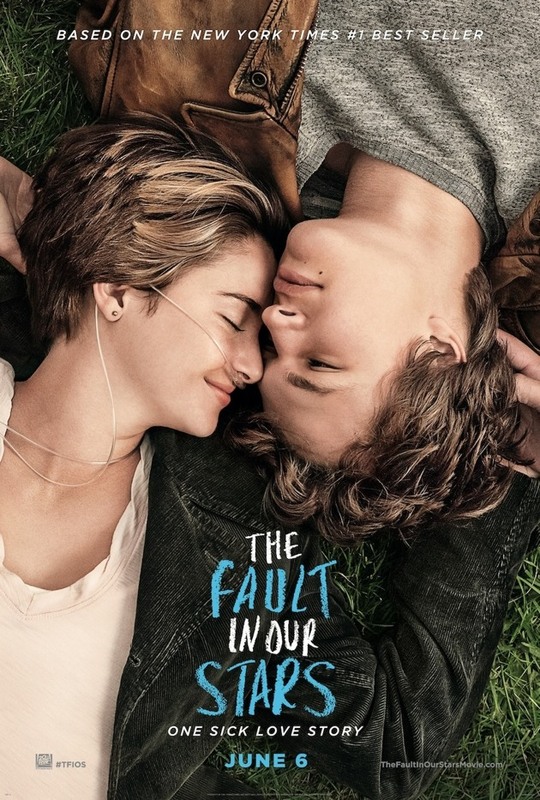 It’s no surprise that the movie has underperformed at the box office (leading to the final movie, Ascendant, due next year, having its budget cut), because even though Tris makes it out of Chicago, once she does, the movie doesn’t know what to do with her, and for a character as intriguing and interesting as Tris, that’s a terrible decision to make on any level. And it doesn’t help that your central villain is ultimately a harried bureaucrat, a futuristic pen-pusher if you will. That’s another stumble, and especially bad after having Kate Winslet fill the villain’s shoes for the first two movies. It all adds up to a movie that coasts on the success of its predecessors, and feels and looks like a stopgap before the real conclusion in part four. 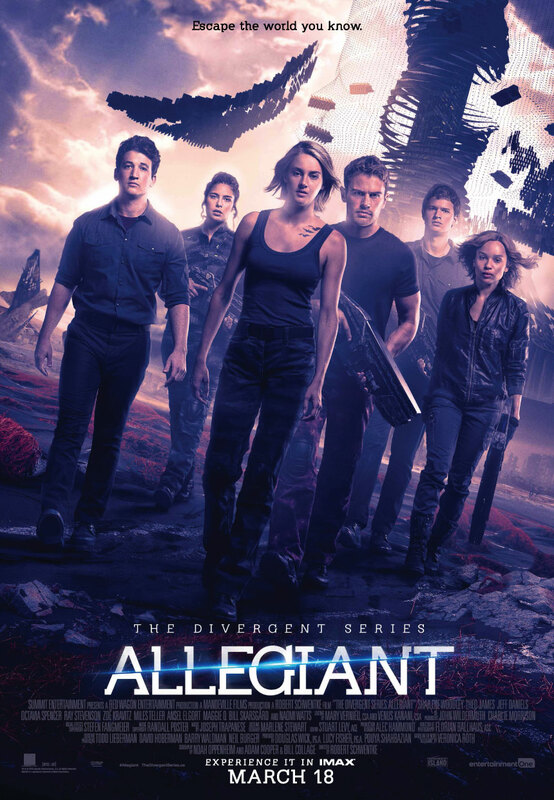 Rating: 5/10 – another series instalment that will have newcomers wondering what all the fuss has been about, Allegiant is a movie that has little to offer in terms of its characters’ development, or in terms of expanding the wider narrative; Woodley – this series’ biggest asset – is sidelined for much of the movie, and though James is a competent enough actor, he doesn’t have his co-star’s presence on screen, which makes large chunks of the movie something of a chore to sit through. In the aftermath of the attack on Abnegation, a search reveals a box that contains all the faction symbols. It’s taken to Erudite where Jeanine (Winslet) reveals it holds a message from the city’s elders, but only a Divergent can open it; this leads Jeanine to order that all Divergents are rounded up. Meanwhile, Tris (Woodley), Four (James), Caleb (Elgort) and Peter (Teller) are hiding out in Amity, under the protection of their leader Johanna (Spencer). Tris is all for returning to Erudite and killing Jeanine but Four warns against acting so hastily: they need to be a stronger force before they can attack the ruling faction. Matters are brought to a head when Dauntless leader Max (Phifer) arrives to look for any Divergents. Peter reveals their presence but Tris, Four and Caleb manage to escape on a train that takes them into Factionless territory. There they meet Evelyn (Watts), the Factionless leader who, it turns out, is Four’s mother. She advocates a coalition between Factionless and the remainder of Dauntless. 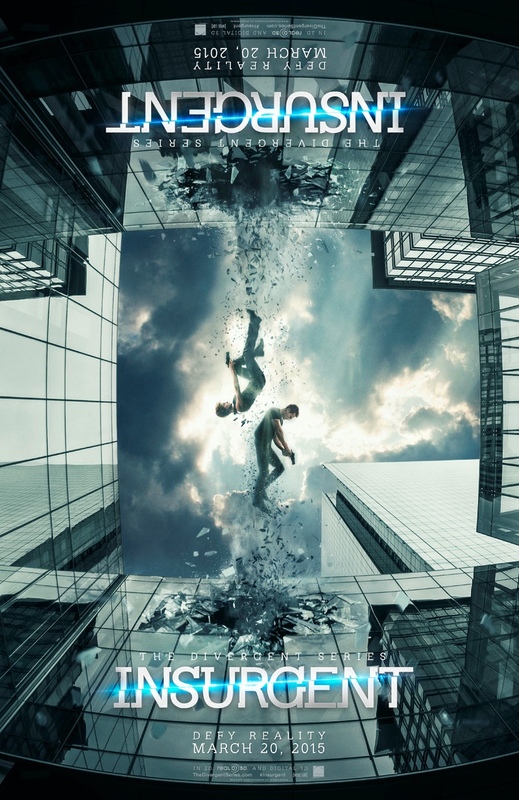 The next day, Tris, Four and Caleb leave to visit Candor, where the remainder of Dauntless have taken refuge. 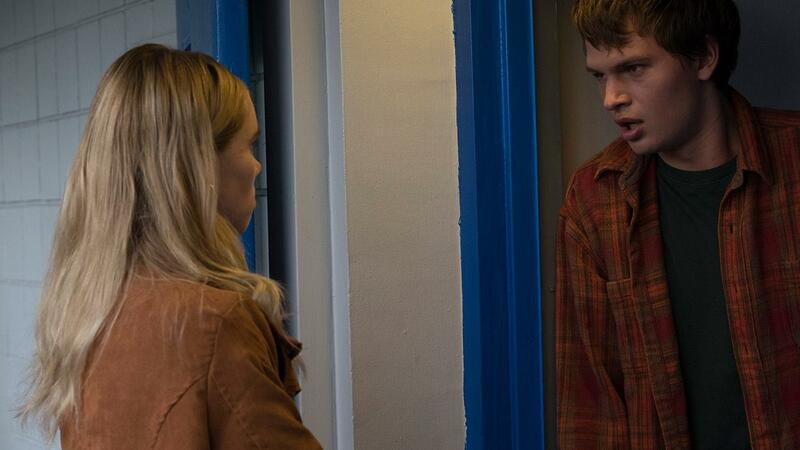 On the way, Caleb tells Tris he can’t go with them and they part. In Candor, their leader, Jack (Dae Kim) arranges a trial to determine the truth of Four’s insistence that Jeanine is lying to the other factions. A raid by Max and Eric (Courtney) leads to Tris being tested and found to be 100% Divergent. The raid is unsuccessful though and Tris is rescued by Four and Candor. 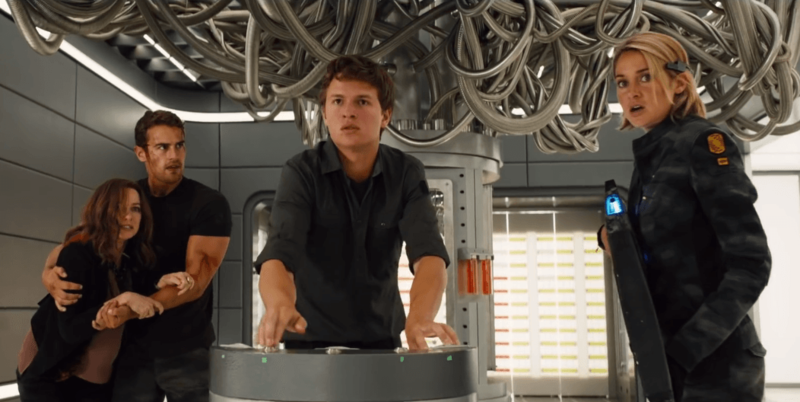 At Erudite, Peter tells Jeanine the best way in which she can trap Tris. With the lives of all in Candor at risk because of Tris’s presence there, she determines to turn herself in. 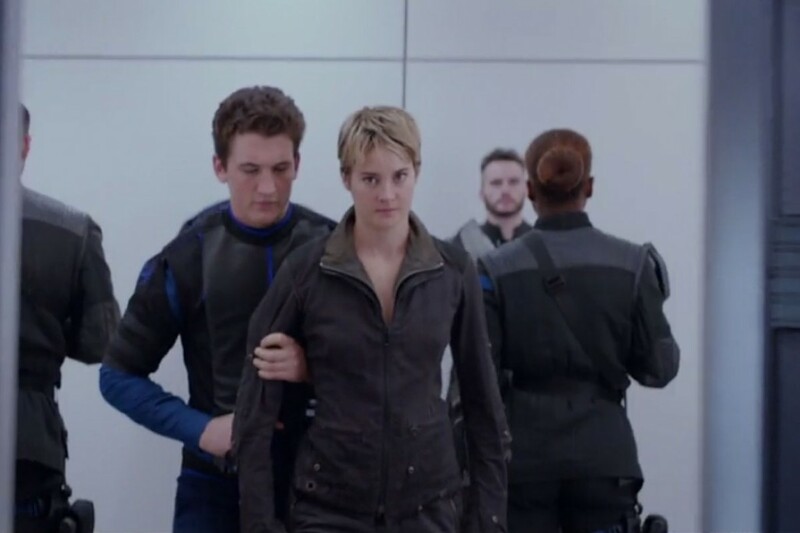 At Erudite, Tris is apprehended and taken in front of Jeanine. She explains about the box and has Tris hooked up to it. In order to open it, Tris has to pass each Faction test, something none of the other Divergents abducted by Jeanine has managed. With Caleb having rejoined Erudite, and Peter also on their side, Tris can only hope that whatever message the box holds, that she will survive the ordeal long enough to learn what it is, and what it means for the city. After the prolonged set up and introduction of each Faction and the world they support that made up most of Divergent (2014), you’d think Insurgent would be less reliant on large chunks of awkward exposition. But it’s not the case, as this instalment introduces new characters and broadens the original’s scope. This leads to more explanations for everyone’s behaviour and more occasions where the not-exactly-complicated story has to be explained every step of the way (as if the audience wouldn’t be able to keep up). Which is a shame, as this time around, Tris’s newfound place in her world is much more interesting and exciting to be a part of. Weighed down by the expectations that come with cinema’s version of “middle child syndrome” (and even though Allegiant will be released in two parts – damn you Harry Potter! ), Insurgent gets a lot right. It ups the action content, makes the heroes more heroic, the villains more villainous, and ends with the news that we’ve all been waiting to hear: next time we go outside the wall. The movie couldn’t be more designed to please its audience, both existing and new. And that’s another factor that makes the movie work: you don’t have to have seen Divergent to work out what’s going on. Such is the care that’s been taken with the adaptation of the book, that even though there are huge chunks that are missing (including whole storylines), it’s a tribute to screenwriters Brian Duffield, Akiva Goldsman and Mark Bomback that this is a well constructed, and surprisingly streamlined version that holds its own and isn’t reliant on the first movie. It also moves the characters forward in unexpected ways. Tris is hell-bent on killing Jeanine which isn’t the usual approach in a YA movie (you’d never expect to hear Katniss Everdeen sound so vehement about President Snow as Tris is about Jeanine). It’s refreshing to see someone be that blunt and not harbour any deep-seated guilt or reservations about the rights or wrongs of such a thing; Tris is resigned and more importantly, she can’t wait to do it. As for her love interest, the taciturn Four, we get to see him deal with a greater authority than Eric or Max, or even his dad: his mother, presumed dead all these years and as determined to get Jeanine almost as much as Tris. While he wrestles with his emotional scars, Tris gets down to the task of taking out Jeanine; it’s like he’s not even supporting her anymore. Of course, true love overcomes any dispute or disagreement and Tris and Four leave their differences behind when it comes to overthrowing Erudite, and although the message in the box is one that only readers of the novel will have seen coming, it’s still a treat to see it revealed in such a dramatic, world-upsetting way. It’s yet another way in which new director Schwentke keeps things interesting and the viewer on their toes. 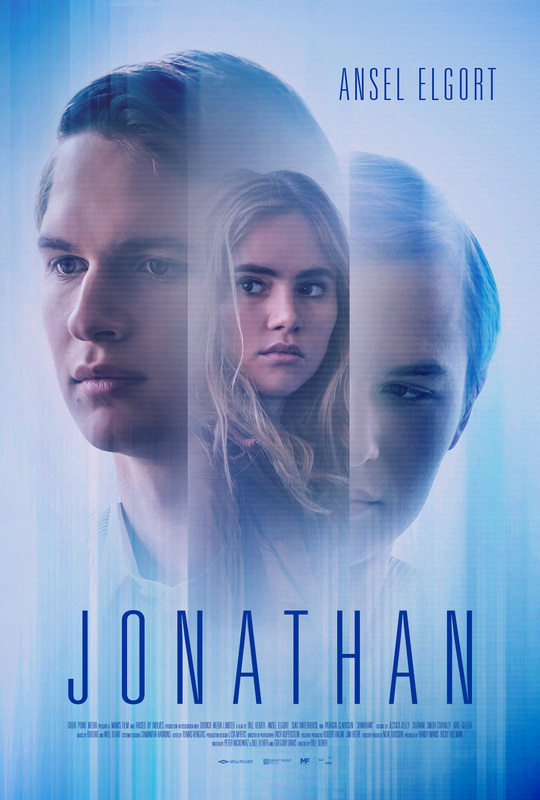 He makes judicious use of the new cast members, with even Watts (who has Big Villain written all over her) required to keep it simple and not detract from the main storyline, that of Tris learning to forgive herself for the deaths of her parents and the turncoat Will. 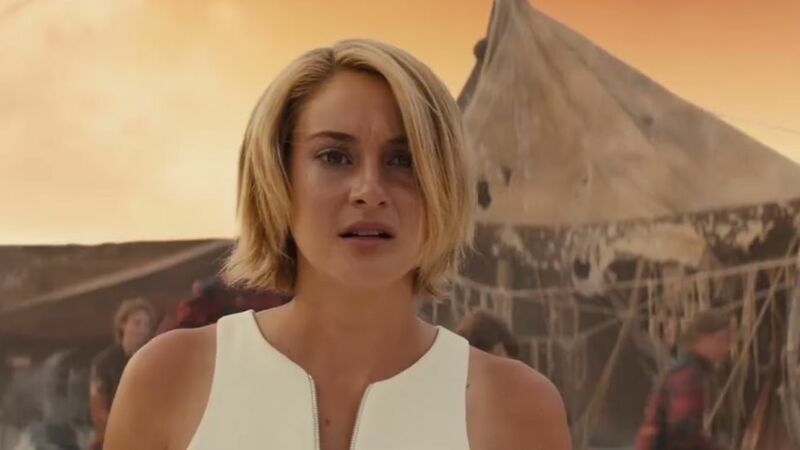 Woodley, still the best thing in both movies, shades her emotions with ease and presents a version of Tris that is still learning but who’s also streets ahead of her rebellious companions (but then she is Divergent). 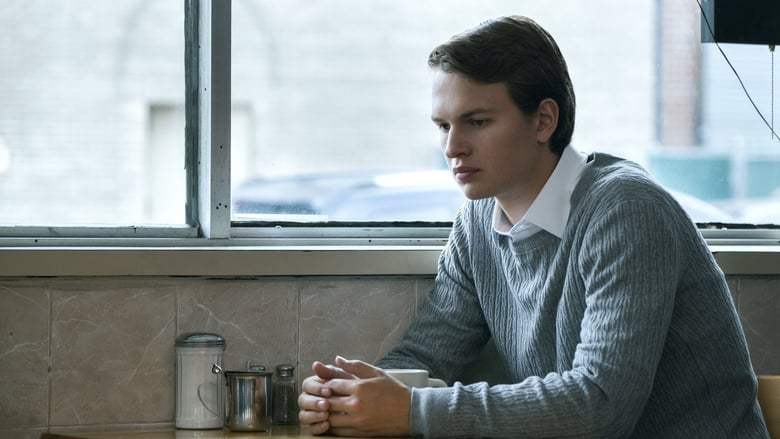 The rest of the cast offer and provide excellent support, with special mention going to Courtney, Spencer, Watts and Teller, though Elgort is still stuck with possibly the blandest character in the whole series, and suffers as a result; he just can’t make him interesting. Winslet is icy and controlling and strangely attractive because of all that, and steals each scene she’s in. The final scene robs us of a major character and is a great way to end this movie and set up some of the dramatics of the next, but it also feels like a bit of a cheap shot at the audience’s expense. What, do we ask, does that mean for Tris and Four and all the rest? Well, to find out, tune in next year! Rating: 7/10 – better than Divergent, and better assembled, Insurgent shows the franchise gaining in confidence and moving ahead in the right direction; not without its flaws – Peter is still an annoyingly underwritten character – the movie packs a lot in and, on the whole, makes it all work with a great deal of panache.